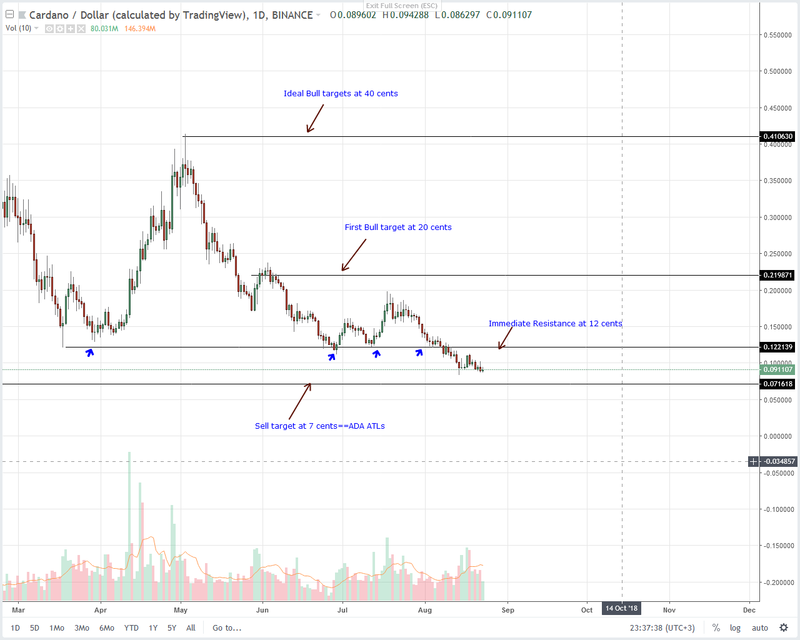 Like on-chain developments, Cardano (ADA) sellers are slowing down. Week over week, it’s down five percent. This is a big improvement from three weeks ago when losses where double digit and exceeding 35 percent. If anything, ADA prices are trading around 7 cents, the coin’s main ATL. For recovery purposes, we must wait for gains above 12 cents triggering buys. On the reverse side, dips below 7 cents which would most likely spell a capitulation. At the moment though, we shall take a neutral stand and closely watch prices. As expected, many question the rate of development at Cardano with some saying it is slower than anticipated and could best be accelerated. However, that is not the case according to Charles Hoskinson in a recent AMA session. Charles thinks best things often take time and Cardano being one of the most valuable coins in the world, the peer reviewed platform should ensure all features or on-chain developments work as planned. Besides, the Cardano Foundation has enough funding to ensure that all their development plans come to pass. Currently, the community backed smart contracting platform is at what they call the Byron phase where it’s all about bootstrapping and making adjustments or improvements whether in wallet or in code debugging. One of the main objectives at this stage is to make possible third party integration into the network through easy to use API and improving Daedalus design. Afterward, the platform shall move to Project Shelly and though there are no specific timelines, observers place Shelly’s TestNet to be sometimes later this year-anytime in Q4 2018 with the possibility that it may spill over to Q1 2019. The main goal of Project Shelly is to make the network completely decentralized, improve governance, stability and most importantly make sure Cardano platform allows for complete interoperability. 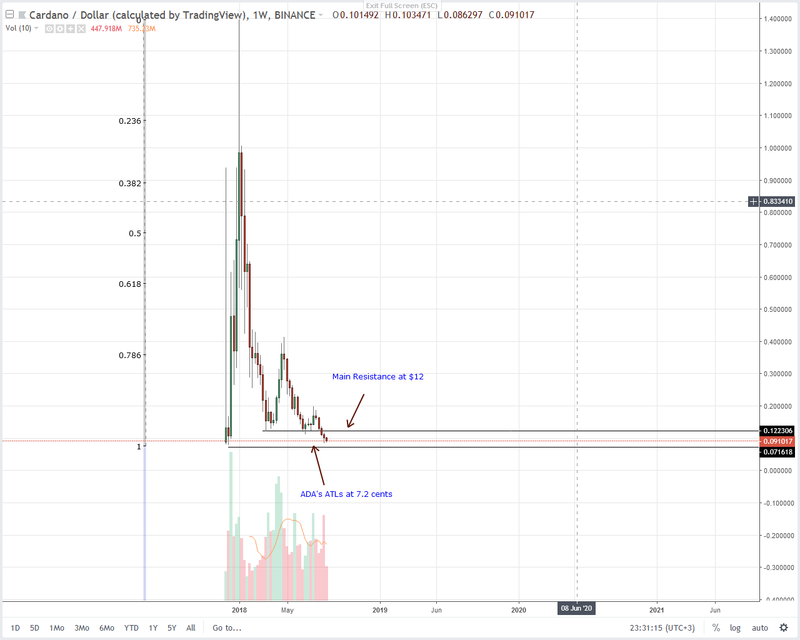 On a weekly basis, Cardano (ADA) is down five percent and as prices depreciate like it has been the norm this year, ADA is 2 cents away from its all time lows of 7 cents. This level was last tested in Q4 2017. Should sellers step up and drive prices lower as they align with our last Cardano (ADA) technical analysis, chances are ADA will find strong supports at 7 cents. It’s easy to see why. 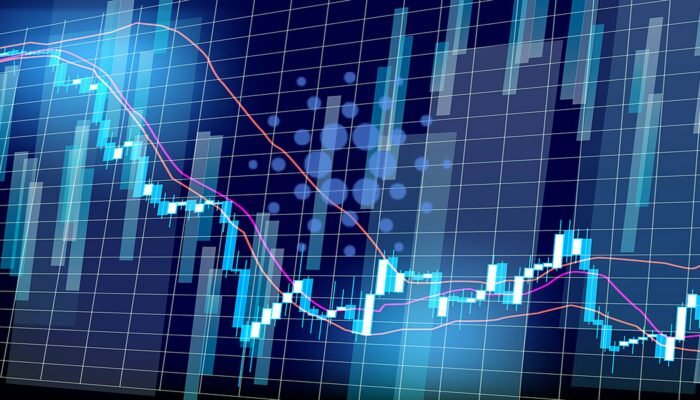 First, even though ADA is strongly bearish and trading below 12 cents in a bear break out pattern, last week ended up with a long lower wick indicative of sellers rejecting lower lows. That’s not all, there was a spike in volumes with a complementing cap in losses. Additionally, unlike recent weekly trade ranges, ADA’s average trade ranges are tight meaning somehow, price is finding support. Sell momentum is slowing down. Despite price action moving inside a bear break out pattern set rolling by Aug 8 high volume bear candlestick breaching below our main support line at 12 cents, Aug 13 and 14 candlesticks are perhaps recent indicators of a slowing bear momentum. As per our highlight above, ADA is just 2 cents away from the all important 7 cent support line. This level also doubles up as ADA’s ATL. Notice that the last nine trading days are moving within Aug 13-14 highs and lows. This further mean prices are actually accumulating with sellers specifically struggling to reverse Aug 17 gains. In any case, I recommend staying neutral for today because of the unfavorable risk reward ratio in place. We shall recommend sells when there is a breach below 7 cents. Conversely, buyers might recover once prices are back above 12 cents, our immediate resistance line.